Welcome to our Galleries, please use the icons above to choose which gallery you would like to view. The Stanier Black 5 45407 –“The Lancashire Fusilier”, traveling from Crewe to Altrincham via Middlewich and Sandbach. 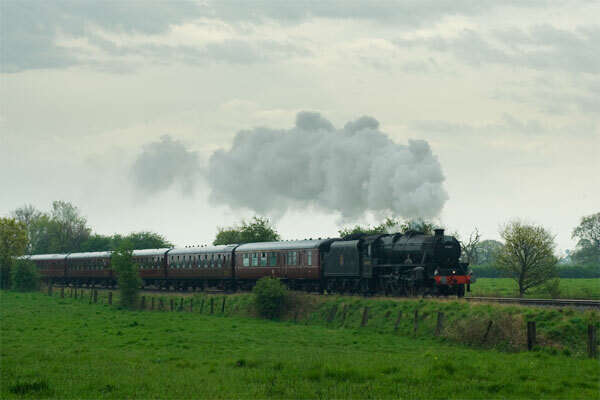 The first time in almost 40 years a steam train has ventured down the Middlewich line as part of the Cheshire’s Year of the Gardens - an exciting year-long festival celebrating Cheshire as the foremost destination for garden lovers. All content in this website are the copyright of Ian Hulme �2019. It is illegal to copy or change any content without consent. Our cookies have now been set in your browser, and we�ll assume you�re happy with this if you keep using our website.